For 13 years, the UNHCR and Tzu Chi Malaysia have worked together to help improve medical care and education for refugees in Malaysia. Over a year ago, a cash-based intervention program was added to the collaboration. Where do you live?” volunteer Koh Geok Ping (許玉萍) spoke into her cell phone. Abdullah (not his real name) was on the other end of the line. He directed Koh to his home in fluent Malay. He said that he’d be waiting for her at the roadside near his place. Koh and her fellow volunteers arrived to meet a young man standing by the road, walking stick in hand, craning his neck. They followed him to a shabby house with six small rooms. He lived in one of the rooms. The sun illuminated the small space through a skylight. A bed, a washing basin, and a few clothes hanging on a wall or by the bed were everything that he owned. Abdullah, 22, is a member of the Rohingya people, who formed a kingdom in western Burma for over a thousand years, but who are now severely persecuted and oppressed by the government of Myanmar. When he was 15, he had difficulty making a living and his hometown had been destroyed, so he fled Myanmar by boat to Malaysia. His right eye was injured during the escape, leaving him with blurry vision. Abdullah’s right leg had been injured in a traffic accident three months earlier as he rushed to get to work tending a parking lot. He had to undergo surgery, but that depleted his savings, leaving him unable to afford follow-up visits and rehabilitation sessions. Not only did he lose some of his mobility, but also his job. He was forced to live on the assistance of his friends. Sometimes he didn’t even have food for a meal. He had applied many times to the United Nations High Commissioner for Refugees (UNHCR) for assistance before finally receiving a response this time. Knowing that Abdullah sometimes went without food, volunteer Poh Kee Sen (賀記生) bought bread at a neighborhood grocery store for him and his next-door relatives, another family of little means. In that family, a 15-year-old son had not been heard from since his recent arrest by the authorities after he went out to work one day. With arrests of illegal laborers happening frequently of late, an older son had not worked for three months, leaving the father the only person in the household still working. The mother of the family was four months pregnant. Tzu Chi volunteers on the way to a refugee’s home to help evaluate whether he is eligible for UNHCR’s cash-based interventions. The 1951 Refugee Convention defined the term “refugee” and outlined the rights of the displaced, as well as the legal obligations required to protect them. The UNHCR is the guardian of the 1951 Convention and its 1967 Protocol. Based on the legislation, states are expected to cooperate with the UNHCR in ensuring that the rights of refugees are protected. The convention was ratified​ by 145 countries, but Malaysia was not one of them. The UNHCR has granted refugee status to about 150,000 foreign nationals in Malaysia, but it’s estimated that three times as many refugees in the country are not registered. Since Malaysia was not a signatory of the 1951 Convention, all refugees, even those possessing a refugee card issued by the UNHCR, are considered illegal immigrants, and as such they receive no legal protection and enjoy no right to work. Despite the risk of arrest, detention, or even deportation, they find jobs anyway, often settling for risky physical labor, in order to sustain themselves and their families. They also have no access to public health care and their children cannot go to school. To help refugees in Malaysia, UNHCR Malaysia works with public and private organizations in that country to provide refugees with basic services. For example, it has worked with the Tzu Chi Kuala Lumpur and Selangor branch office for over a decade to provide free medical services and run education centers for refugees. In 2016, the UNHCR added cash-based interventions (CBIs) to the collaboration. CBIs can be used to help refugees whose income has been temporarily disrupted, for example by illness, or to provide food, shelter, and health care to disadvantaged groups like orphans or old people without family support. Volunteers visits a refugee family in Melaka. 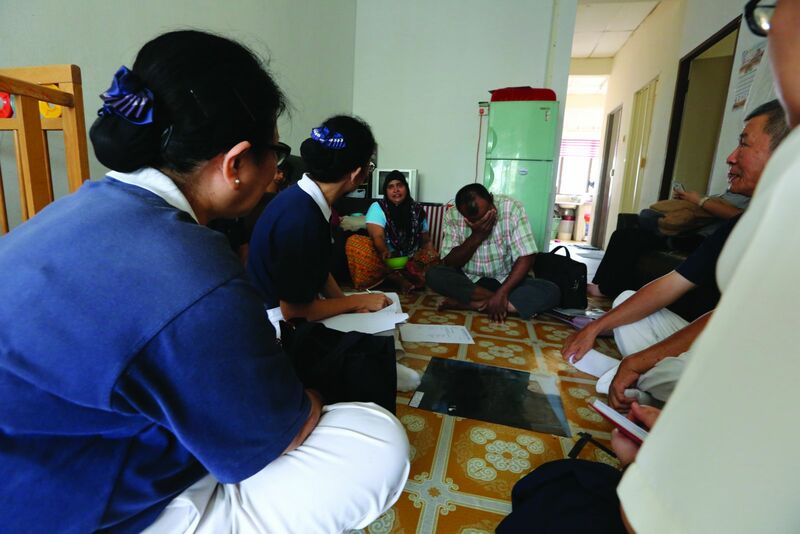 Under this program, Tzu Chi volunteers in Kuala Lumpur, Selangor, Seremban, Melaka, and Johore visit the homes of refugees on lists provided to Tzu Chi by the UNHCR to assess the subsistence needs of the families. Other special needs—pertaining to medicine, education, legal counseling, or spiritual care—are handled separately. Volunteers have visited more than a thousand families since the program was launched, about 35 percent of which were granted CBI assistance from the UNHCR. Letchimi Doraisamy, the UNHCR officer in charge of this CBI program, explained that the project is similar to how Tzu Chi helps its charity cases in that it involves assessment through home visits and the writing of assessment reports. There is, however, one difference: Her agency requires that the assessment data be keyed into its CBI system so that the system can compute aid amounts for recipients. She also pointed out that each case in the CBI program is reevaluated every three months. Many Tzu Chi volunteers in Malaysia are of Chinese descent and their primary language is not English. It is therefore a challenge for them to write reports in English, a requirement by the UNHCR. Communicating with refugees presents additional challenges as well. Despite the challenges, they bravely accept the task because they know that many refugees are truly in need of help. 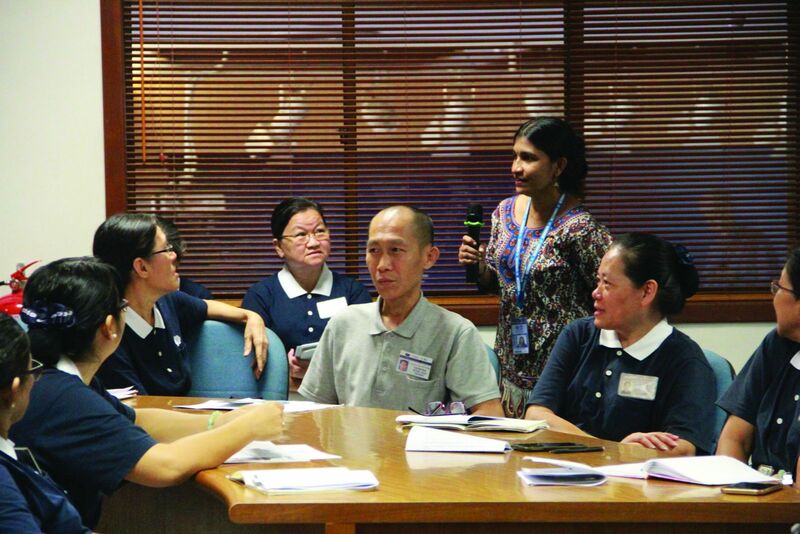 Letchimi Doraisamy, the UNHCR officer in charge of the cash-based intervention program, explains the project to Tzu Chi volunteers. Asmat Ali, 40, lives in a Melaka suburb, along with his wife and daughter. Like Abdullah, they are Rohingya refugees from Myanmar. The family once lived in Kuala Lumpur, where Ali worked as a welder until he became ill. Because it was too expensive to live in the capital, they moved to Melaka. Due to his health, Ali could only peddle religious books, which was hardly enough to keep his family afloat. They were nine months behind on the electricity bills and two on the rent. 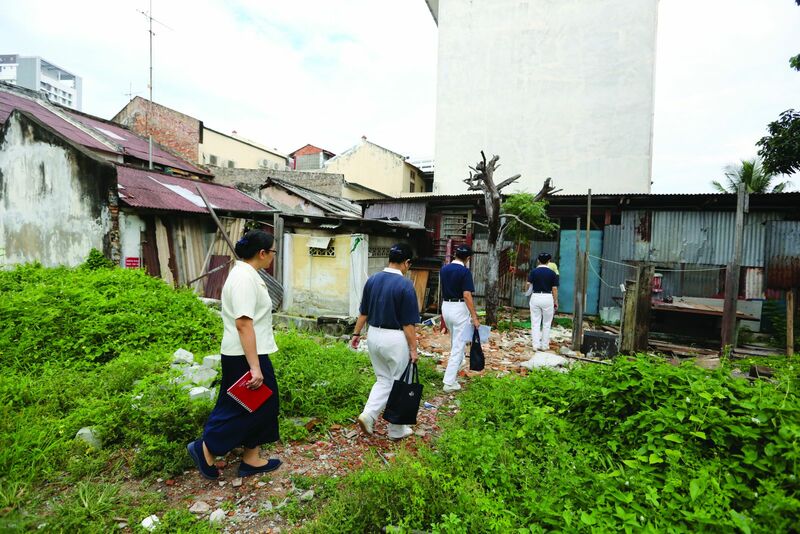 When Tzu Chi volunteers visited his home, he implored them to help him and his family. He sobbed when he talked about getting treatment for his illness. Though his refugee card entitled him to discounts for medical care, the accumulated cost was still sky high for him. His health worried him. He feared for the livelihood of his wife and his daughter if he should succumb to his illness. The lives of Abdullah, Asmat Ali, and his family give a glimpse of the struggles that refugees in Malaysia are facing. The UNHCR aid, though modest, can help tide needy refugees over these very trying times. The collaboration between Tzu Chi and the UN refugee agency allows the two sides to complement each other as they work for the good of refugees. Working together, they hope to bring light to dark corners. Costs have kept refugee women from receiving prenatal and delivery care at a health facility. Consequently childbirth incidents, sometimes fatal, occur too frequently. Tzu Chi has stepped in to address the problem. “Remember to deliver your baby in a hospital, nowhere else,” Dr. Ng Poh Yin (伍寶燕) said to her patient repeatedly in English with a serious expression. The patient, a pregnant woman from Myanmar, did not seem to understand her message. Dr. Khine Pwint Phyu, a Burmese OB/GYN, repeated Dr. Ng’s message in Burmese to the patient, who finally understood and promised to do as she had been told. These conversations took place in the Buddhist Tzu Chi Free Clinic located in Kuala Lumpur. This was the first Sunday of the month, when free prenatal and gynecological care is offered there to refugees. Dr. Ng still remembered what had brought the clinic to offer this service. 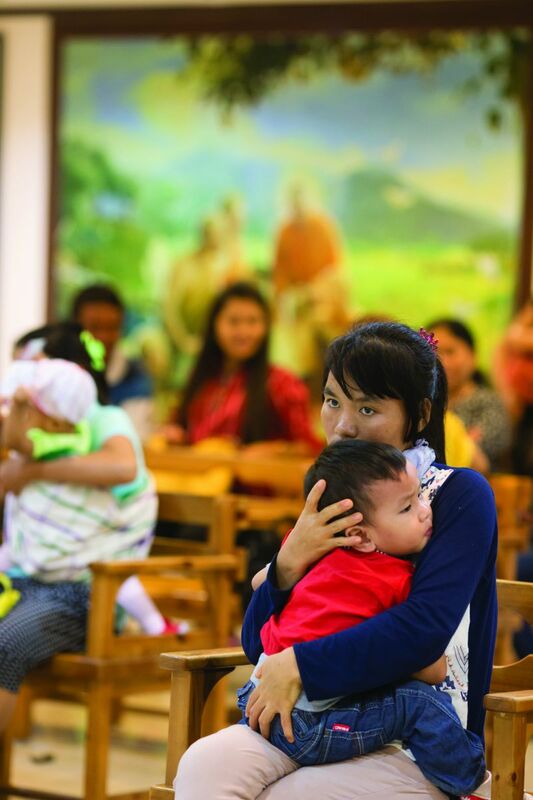 In 2016, she heard at her hospital that a Burmese refugee had chosen to deliver her baby not at a hospital but at a cheaper, ill-equipped location. Her baby died during birth. Dr. Ng learned that tragedies like that happened often because many pregnant refugee women can’t afford prenatal care or delivery at a hospital. She decided that she couldn’t sit aside while such tragedies continued to happen. She had volunteered for years with the Tzu Chi International Medical Association (TIMA), which offers free medical services to needy people around the world, and she had also volunteered at the Tzu Chi Free Clinic. In June 2016, to alleviate the suffering and safeguard the health of pregnant refugee women, she started OB/GYN services at the clinic. The on-going provision of this service has been made possible by, among others, volunteer medical staff like Drs. Ng and Khine Pwint Phyu, who is from Myanmar and has now been in Malaysia for more than 11 years. 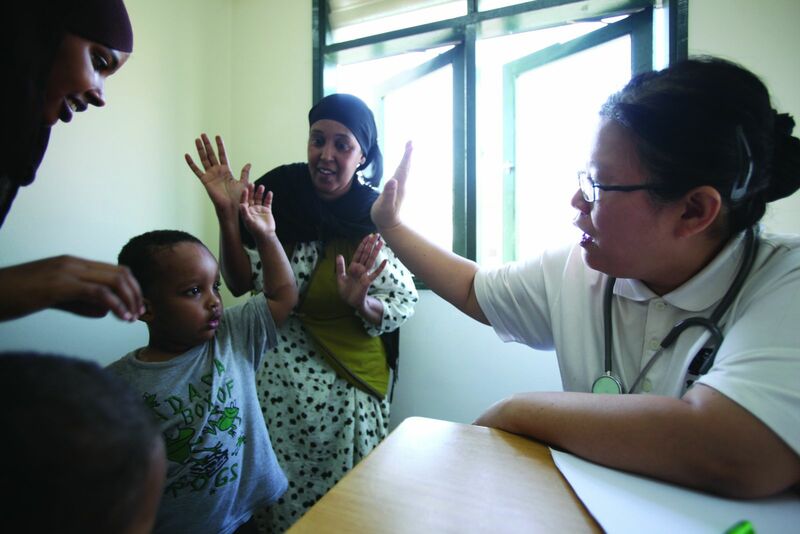 Two years ago, Dr. Ng invited her to volunteer at a free clinic for refugees in Selayang. She noticed that most of the patients had come from Myanmar. “That made me feel even more obligated to use my expertise to serve the patients—most of them are my own fellow countrymen,” Dr. Khine Pwint Phyu said. With that memory fresh in her mind, Ng joined her teacher in serving refugee patients. Such experience has allowed her to work with TIMA physicians. From them, she has learned that caring about the mental and psychological wellbeing of patients is as important as treating their illnesses.